December 1st in Premium Themes, Themes for Businesses by Wordpress Jedi . 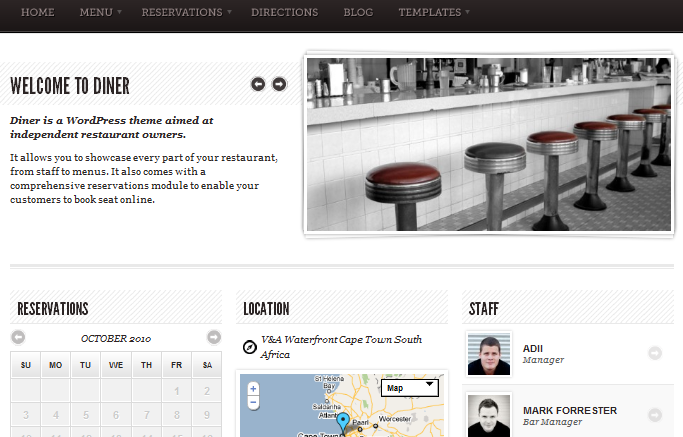 Diner Theme: the best theme for food businesses hands down. It lets you promote your food menu and location while allowing your visitors to book their spot in your diner or restaurant. The Restaurant: it has a professional look and feel to it. It has multiple page templates and takes advantage of short-codes. Allows you to create your own sidebars and move them around. 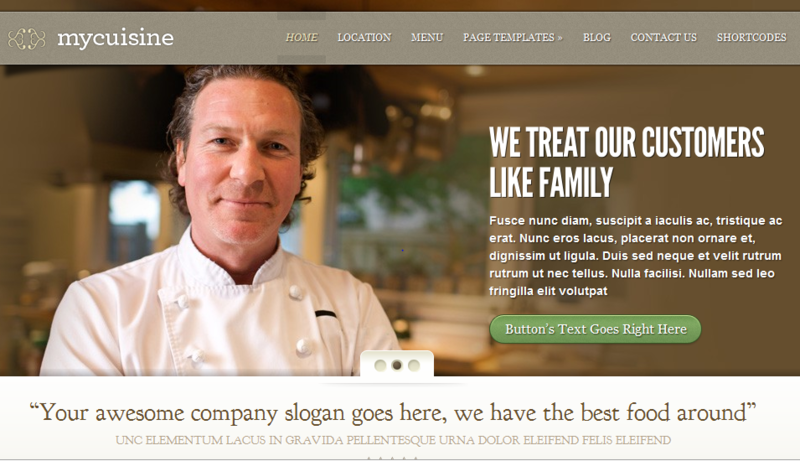 Restorante for WordPress: this theme is built on HTML5 platform. It is SEO optimized and offers multiple color schemes. It comes with multiple page templates and a decent options panel. 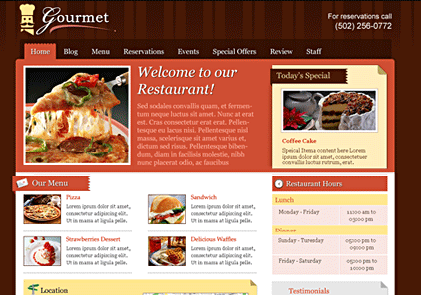 Gourmet: a very good looking theme for anyone who owns a niche food business. It lets you share your best offerings with your prospects and take your business to another level fast. 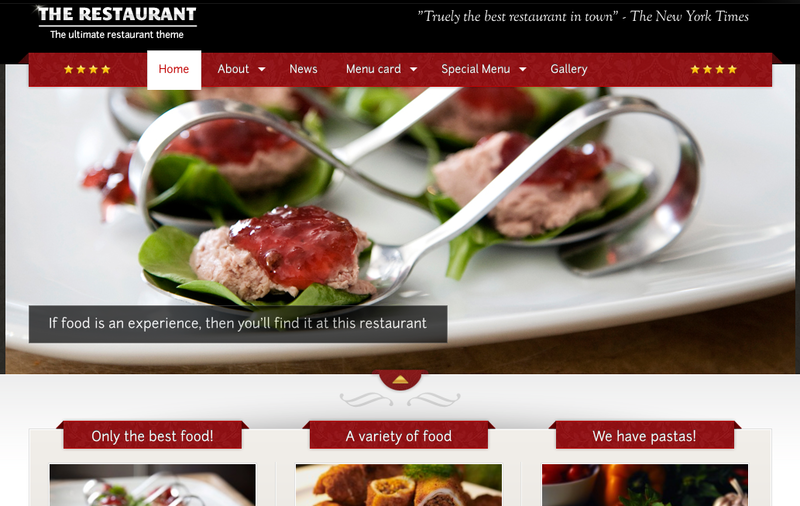 Restaurant Pro: one of the most attractive WordPress themes for restaurants. It is highly customizable and has 21 widgets for you to choose from. Gives you everything you need to promote your menu in a professional manner. 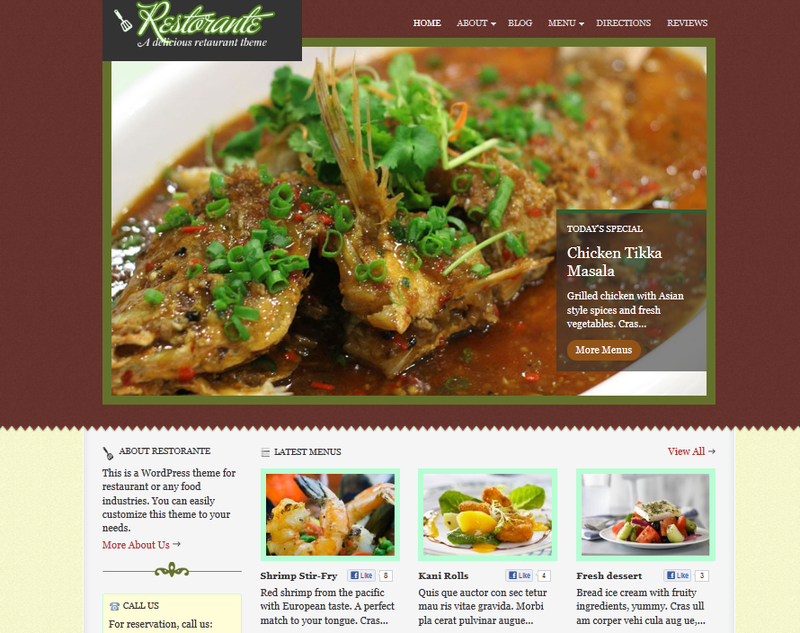 MyCuisine: an eye catching theme for food businesses. It can be used for almost any type of small business though. It has 5 color schemes and multiple page templates. This is fast and easy to set up. 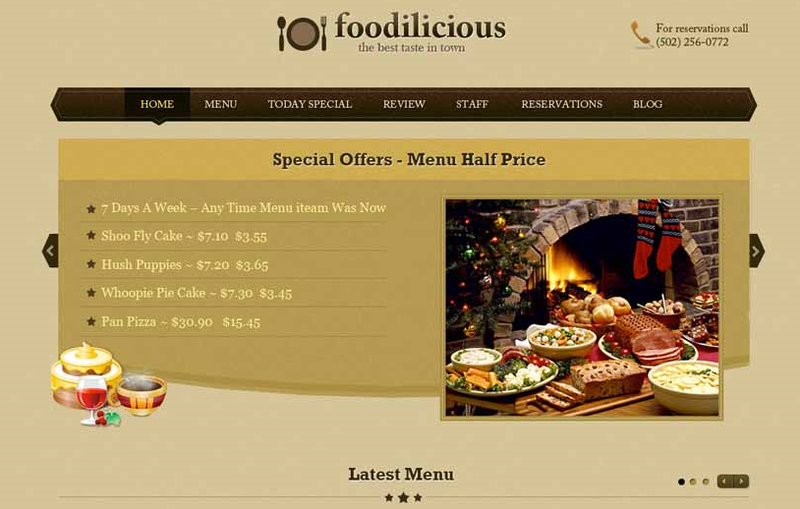 Foodilicious: a search engine friendly restaurant theme for WordPress that lets you showcase your best meals and connect with your prospects in your area. It can be localized and is image friendly. It comes with 5 color skins. Delicious: a pretty clean and dynamic brand for restaurants, cafés, bars, diners, and other food businesses. Has a solid back-end as well. 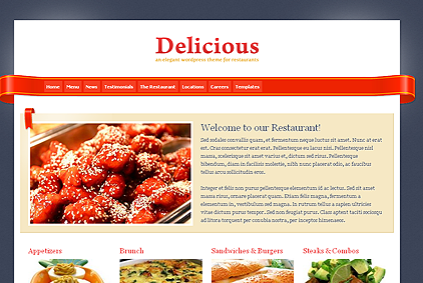 Restaurant Theme: it’s designed specifically for restaurant businesses. It allows you to go live with your business and get more customers, so it pays for itself quickly. Makes it easy to share your menus with your customers. Coffee Shop: the best theme to get your coffee shop online. It’s great for restaurants too. All you have to do is change the images and provide your readers with the appropriate information. Coffee Break: yet another theme to get your coffee business online. It also works with other types of businesses and startups as well. It’s very clean and easy to customize. Ecommerce Theme: maybe you want to go beyond letting your customers come to your physical store and actually want to sell things online as well. If that is the case, this theme is a great place to start. 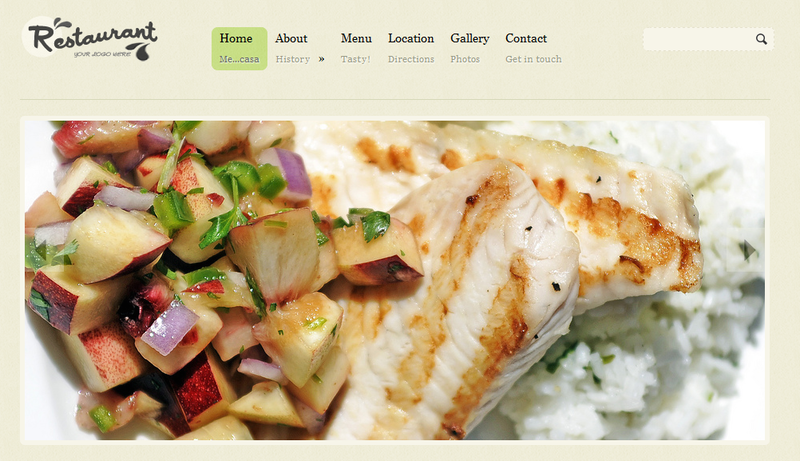 What’s your favorite WordPress restaurant theme?